For the first time ever, the widely popular television program, The X Factor made famous by entertainment genius, Simon Cowell came all the way from the UK to the Sears Centre Arena in Hoffman Estates on Thursday May 19th and Friday May 20th for the second and final round of auditions in the Midwest region. In addition to the commanding presence of Simon Cowell, an impressive cast of entertainment personalities walked the red carpet (cement stairs to be exact) including American pop superstar and dance icon Paula Abdul, record executive/songwriter/producer L.A. Reid, and UK X Factor judge and megastar Cheryl Cole. The judges were greeted by loud cheers, handmade banners and waves of applause from hundreds of awestruck fans that lined up outside the front of the Sears Centre Arena in hopes of catching a glimpse of the famous celebrities. Each star took a moment to interact with their admirers by shaking hands, embracing each other with a hug, and even posing for photos with a few lucky fans on their way into the arena. Simon, Paula, L.A. Reid and Cheryl Cole also took questions from members of the news media and various entertainment outlets. Pussycat Dolls lead vocalist and Dancing With The Stars Champion (2010) Nicole Scherzinger and Welsh television presenter Steve Jones brought their unique and individual talents as the official hosts to the show. On the second day of taping, the gorgeous Nicole Scherzinger was seen outside walking up and down the large line of audience members to shoot interview footage with the crowd. Transformed into a state of the art television studio complete with elaborate lighting and a massive stage with the X Factor logo gracing the backdrop, the entire arena was filled with thousands of awestruck fans excitedly waiting for the judges to arrive and the auditions to begin. The panel of judges warmly welcomed the audience and introduced themselves; the buzz from the electric energy inside was off the hook. It was truly a long awaited and bittersweet reunion for Simon and Paula since departing American Idol respectively in 2009 and 2010. The affectionate exchange of conversation and carefree interaction between Simon and Paula made the observer feel as if the two had never left the world of television. 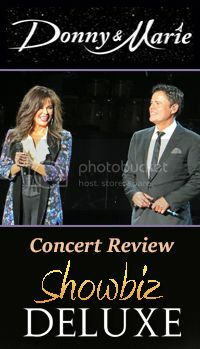 Having spent the past seven years as a successful team on American Idol, Simon’s sharp wit and Paula’s flamboyant sense of humor are absolutely infectious. We’d like to sincerely thank Alex Gillespie and Chris Dilorio for giving Showbiz Deluxe the opportunity to cover X Factor and attend the auditions. Please stay tuned to FOX-TV this fall for the official premier of The X Factor USA and all of its VERY exclusive surprises!